This is an important week for LENA Project Partners’, as their 6th meeting is happening between 15-18th of April in Bucharest. During the meeting, there will take place on 17th April the Policy workshop on nature-based businesses and jobs in the Danube region. The first two days will be dedicated to the partners, as they will take the main updates and overlook on the project and they will plan the next steps to finalize the policy report on the strategic action points for the Danube region and four guidance documents on capacity building, increasing market access, communication and financing sectors. On Tuesday, the focus will be on Danube Guide and E-mobility, as well as on Nature Capital activities. The day will continue with side meetings on Danube Guides (Networking meeting) and on Natural Capital (Wild Plants, Agriculture, Fisheries learning interactions). "Policy workshop on nature-based businesses and jobs creation in the Danube region"
Wednesday, all day is dedicated to the "Policy workshop on nature-based businesses and jobs creation in the Danube region". Its main purpose is to create a regional opportunity for the dissemination of policy recommendations and action points identified primarily through LENA project and aimed at the creation of nature-based businesses and jobs in EU countries along the Danube. Also, through this workshop we want to involve relevant key policy and decision makers in the process to identify the best ways to act using the recommendations from the five fields of priority: management and conservation of protected areas, sustainable agriculture and fishing, and ecotourism and e-mobility. → funding integrated nature conservation. The "Policy workshop on nature-based businesses and jobs creation in the Danube region" will include both presentations and activities that will require teamwork. On Thursday, the project partners will go on field trips to Romania pilot sites Comana and Ciocănești. In Comana Natural Park, they will experience few outdoor and cultural activities: cycling trip in the natural park with guide, boat trip on the Neajlov stream, visiting the “Moara de Hârtie” (Comana Paper Mill) - a space designed as a workshop-museum that is reviving, keeping and transmitting forward Romanian and universal crafts traditions, and the Comana Monastery. 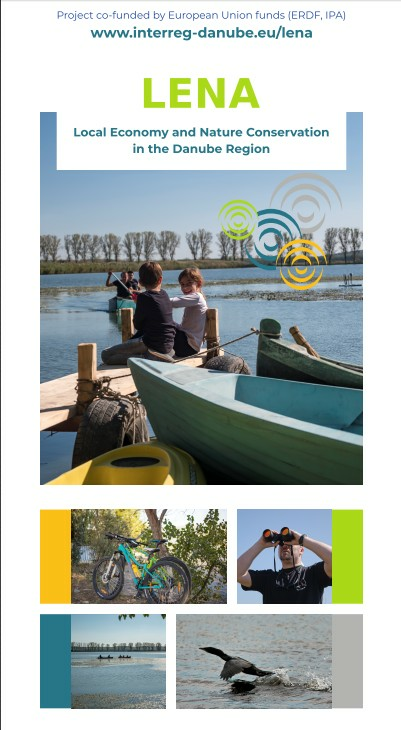 In Ciocănești, one of the Nature Routes will be tested, experiencing cycling and visiting local craftsmen, and enjoying a birdwatching session.